The prospect of a “Netflix tax” will be back in the spotlight this week as Canadian Radio-television and Telecommunications Commission chair Jean-Pierre Blais unveils the CRTC’s latest round of rulings stemming from its review of broadcast policy. While it is unlikely that the commission will impose a new fee on Netflix subscribers to support the creation of Canadian content, it will not be for lack of lobbying on the issue. 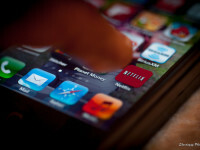 Despite the fact that a Netflix tax would yield less than one per cent of the annual expenditures on Canadian television financing (about $15 million dollars in support for a sector that spent $2.3 billion last year), most content groups called for mandatory Canadian content contribution funding from online video providers during the CRTC’s TalkTV hearings. My weekly technology law column (Toronto Star version, homepage version) notes that amidst the clamour for new funding, there was one voice that attracted the most attention – the Government of Ontario.